Vectorized and colored with Photoshop 7.0. This took me almost 15 hours to finish. 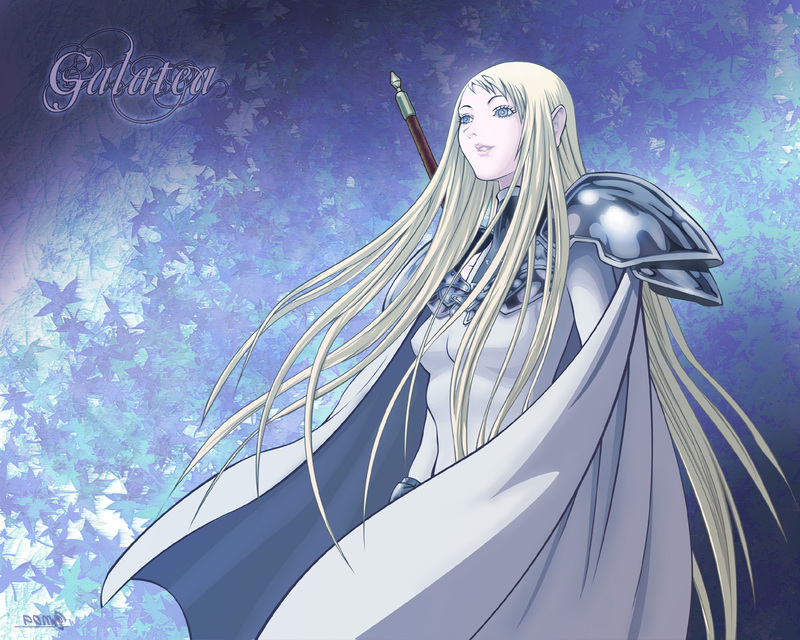 I just adore Claymore..the silver eyed witches are awesome fighters.. Wondering why Claymore doesn't have its own Category in Minitokyo, it's a famous serie. Btw, thanks for your fav guys. The background can use some work, but the vector is fabulous. Quote by saikusaStudio: There is no category on MT for Madhouse Studios. I salute fellow Claymore. May we all meet again. ^^f"
She's Galatea man, it's in the title :D.
Nice wallpaper! I recently got into Claymore too! but the latest ep I've seen is 12. Is Galatea one of the current top 5, i cant remember, is she still to come? or have i missed something? Nice work! Really looks fantastic. I've just finished episode 12 of Claymore. She looks like a very interesting character. Thanks for posting this. Yay more Galatea. Nice Wall!